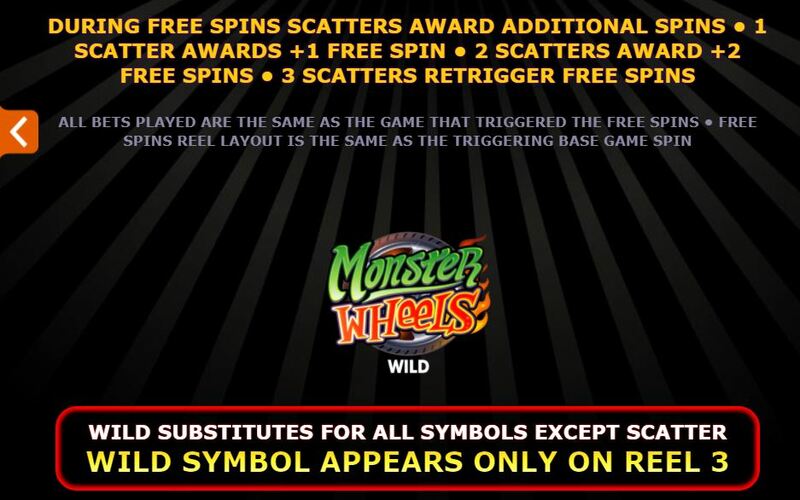 Monster Wheels slot isn’t of the quality of some famous Microgaming multiway games such as Jurassic Park or Immortal Romance but that’s maybe because they commissioned a smaller developer to make it for them. You egt 288 ways to win but can opt, for the same 30-coin bet to play a mere 128 ways which is achieved by the rows on the reels changing from a 43243 pattern to a 24242 layout. The pays remain the same but the win frequency reduced slightly along with the ways to win. 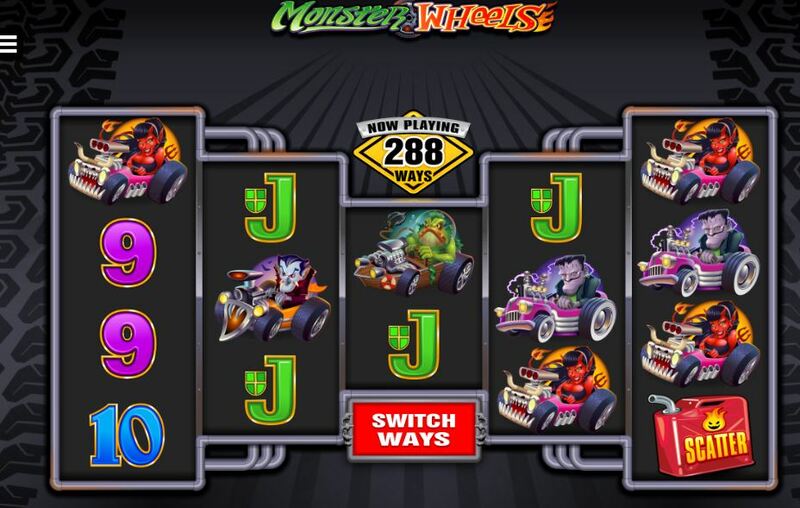 You have 6 different cartoon cars which all award the same pays and that is 20x stake for a full way and there are 6 card values for the lower pays. All icons appear stacked, the cars can appear twice on a reel and card symbols 3 tims if the reel is big enough. You get a single Wild on reel 3, the small one in the middle which doesn’t multiply. 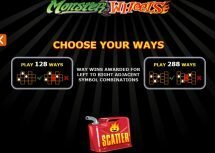 Fuel can scatters appear on reels 1, 3 and 5 of Monster Wheels slot which will then offer a choice of free games with different spin quantities, multipliers and thus volatility. 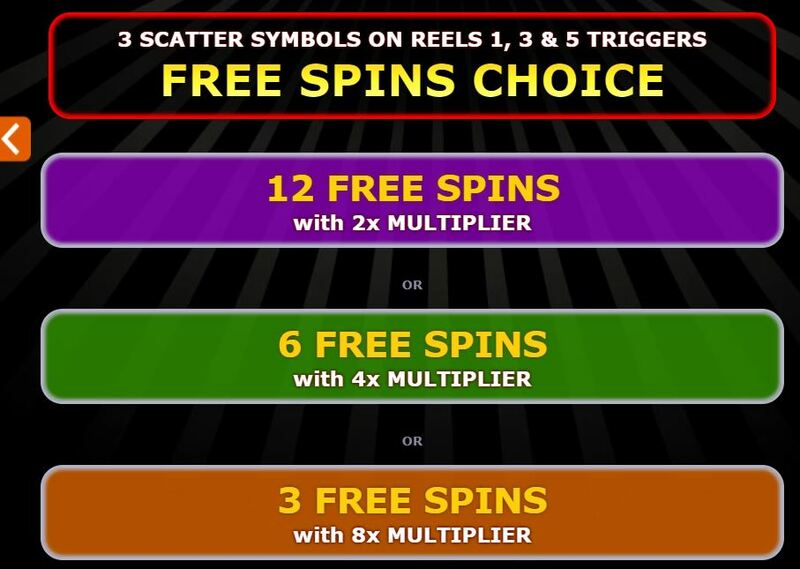 Opt for 12 at 2x multiplier, 6 at 4x multiplier or for highest variance 3 at 8x multiplier. 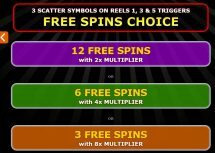 You will earn an extra spin for each scatter if only 1 or 2 appear and a retrigger of the spins you chose if you are fortunate enough to see all 3 on reels 1,3 and 5 come in again. You could see over 1000x bet if you get lucky on the 8x spins option. 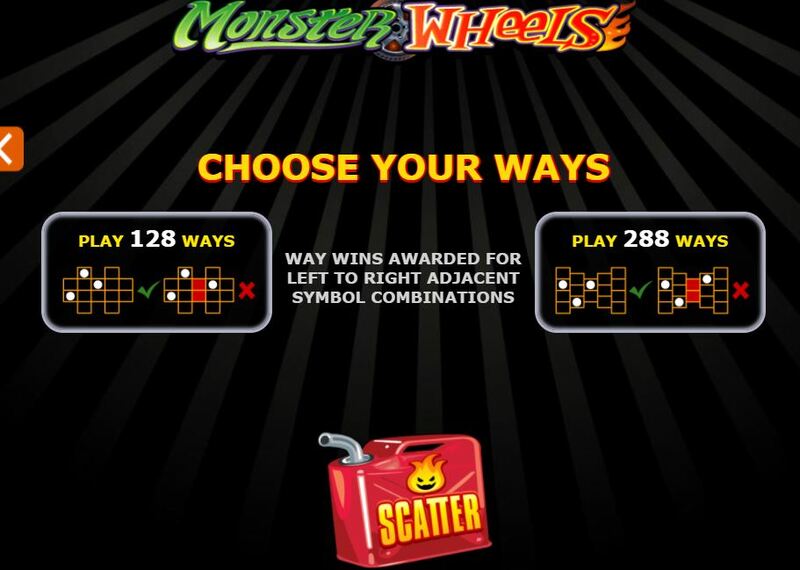 Monster Wheels slot is OK but the animations and graphics are basic plus the soundtrack and images on the reels pretty childish and the frequency of small wins or two scatters only can be irritating. The RTP is OK at 95.96% and this will certainly not be a classic like some of their multiway games such as Thunderstruck 2 or The Finer Reels Of Life – I wouldn’t race to play this!